2019 campaign posters of wanted former Chairman of the Presidential Task Force for Pension Reforms, Maina Abdulrasheed has flooded Borno State. The posters were also seen on the streets of Kaduna and Bauchi State. 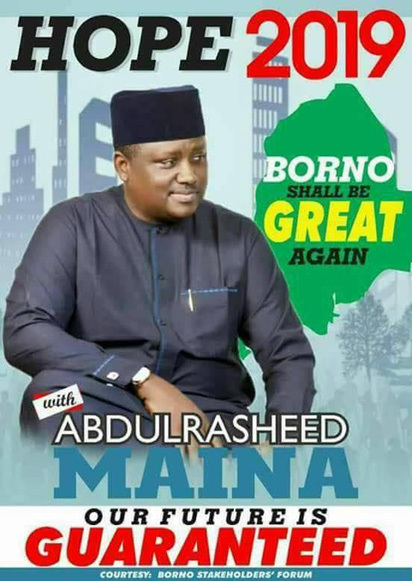 The posters declared Maina who is on the run wants to takeover the first office in Borno State in 2019.